For the Rev. Kali Christensen, success is not measured in terms of “how many,” but “how much.” How much of the love of Christ has been shown? Measuring success in a church often means numbers: how many members, how many conversions, how many baptisms, how many, how many, how many. 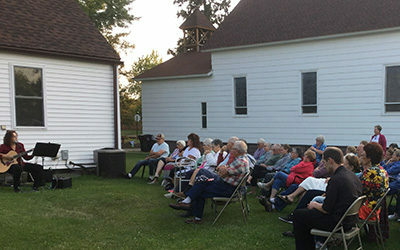 Christensen is pastor of the Communities of Faith Parish in central Minnesota. The parish is home to three United Methodist churches – Clarissa, Eagle Bend and Clotho. 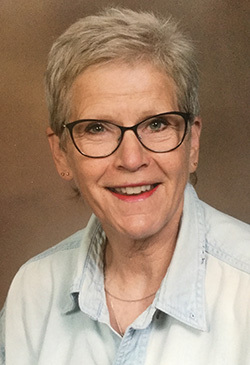 Christensen had lived in the area for many years and was well known, having served as a child protection worker for 40 years. She retired in 2016. You form relationships and stick around when it gets hard. I think that is the best thing I have to offer as a clergywoman. I know how to do relationships. It’s not always perfect, but at least it’s for real. In addition to Christensen, a Baptist minister, a Catholic priest and other people have led the discussions. Knowing that other people outside their own churches have a relationship with Christ has been fresh and healthy. They all see they are part of a greater community of believers. 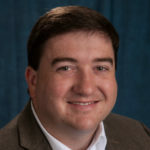 Jeff Campbell joined Discipleship Ministries in 2013 and now serves as the Associate General Secretary of Strategic Programming. In this role, he connects with conference leadership to strengthen intentional disciple-making across the connection. Jeff coordinates the listening, research, and evaluation systems to ensure that Discipleship Ministries continues to meet the discipleship needs of the local church. He also teaches intentional discipleship systems as an intensive seminary course, and as workshops at the district and conference levels.